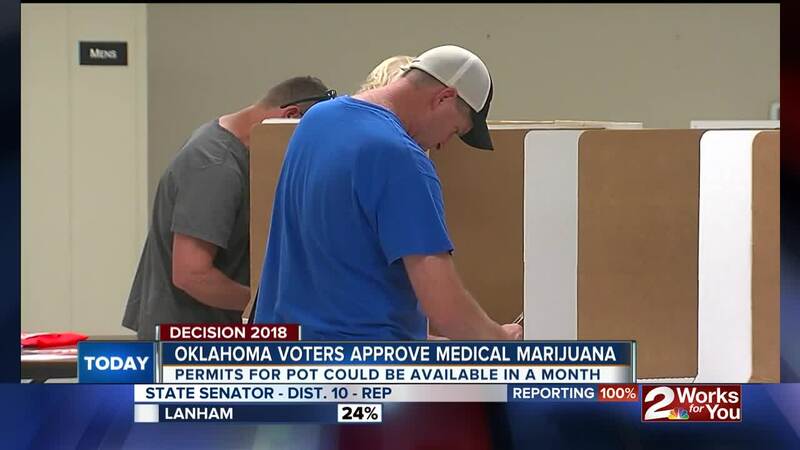 When will Oklahoma see dispensaries? We looked at other states to see what kind of timeline we're looking at. 2 Works for You Reporter Gitzel Puente has more. 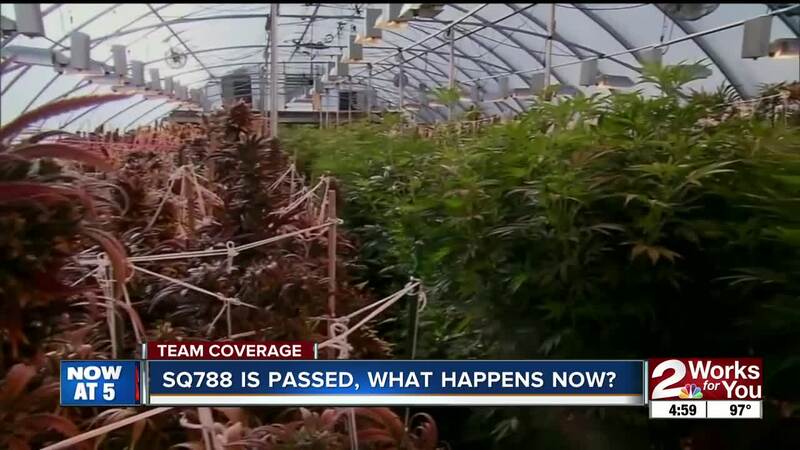 Oklahomans voted "yes" on State Question 788 on Tuesday to legalize medical marijuana. So, what's next? Oklahoma Governor Mary Fallin is meeting with legislative leaders, state agencies and marijuana industry experts on how to best proceed with proper regulations. According to the Oklahoma Department of Health, the first step will be for its board to review the 63 pages of rules it has written and make any changes it finds necessary on July 10. If approved, anyone interested in applying for a license will be able to go to a new website the department created to get information about the requirements on July 26. Then, the department will start accepting and reviewing applications on August 25. It will take a certified physician 14 business days to either reject or approve an application. 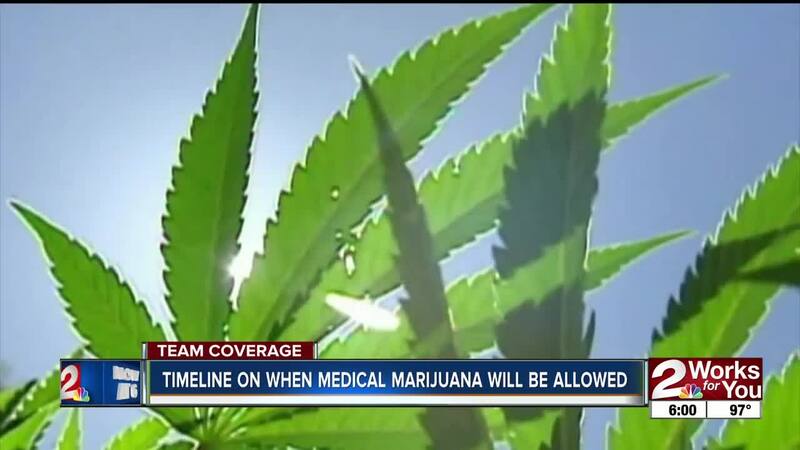 So, if nothing changes, Oklahoma could issue medical marijuana licenses to patients by the second week of September. However, the law needs to be enacted before patients purchase marijuana through a dispensary. Comparing the process to other states like neighboring Arkansas or Illinois, it could happen between months or years before dispensaries open. The cultivation of marijuana from the grower to the processor is a lengthy one. Writers of the measure from the Oklahomans for Health say the law is written tightly, but there need to be regulations, which they plan on proposing through trade organizations. The Oklahoma Cannabis Business Alliance says there are nearly 100 business owners in Tulsa, and dozens more in Oklahoma City, who are interested in opening a dispensary. One such business owner isn't waiting for an application. Just hours after SQ 788 passed, Tulsa Higher Care Clinic opened up. Owners of the clinic wanted to make it clear there’s no marijuana in the building. It is currently just an information hub for medical marijuana. Higher Care has a doctor on hand that will make the recommendations needed to prescribe medicinal marijuana, steering potential patients in the right direction so they’ll be ready to apply for a license. People can start applying for a medical marijuana license through the state department in about a month after lawmakers dissect 788 to make sure there are no loose ends.